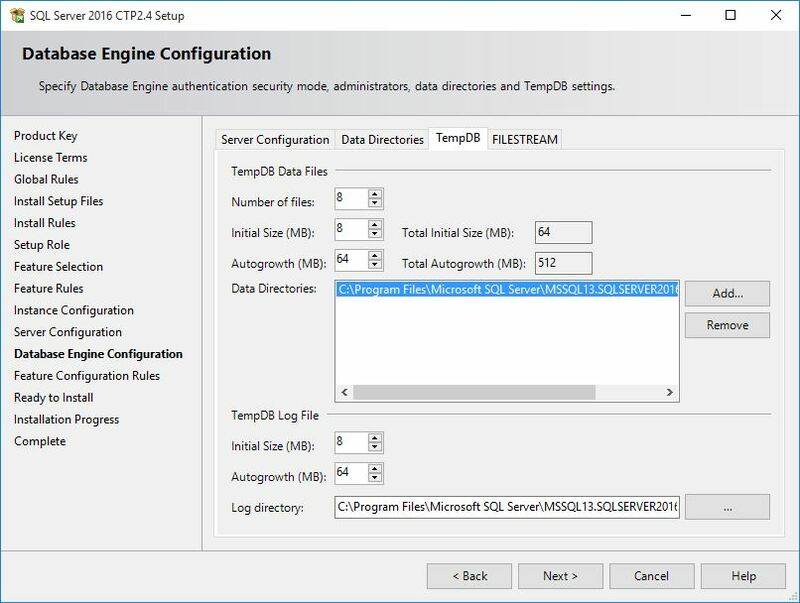 SQL Server 2016 allows you to scale up your database with Enhanced Database Caching, using support for multiple TempDB files per instance for multi-core environments. This reduces metadata- and allocation contention for TempDB workloads, improving performance and scalability. Now you can configure the number of TempDB Database Files during the installation of a new Instance. 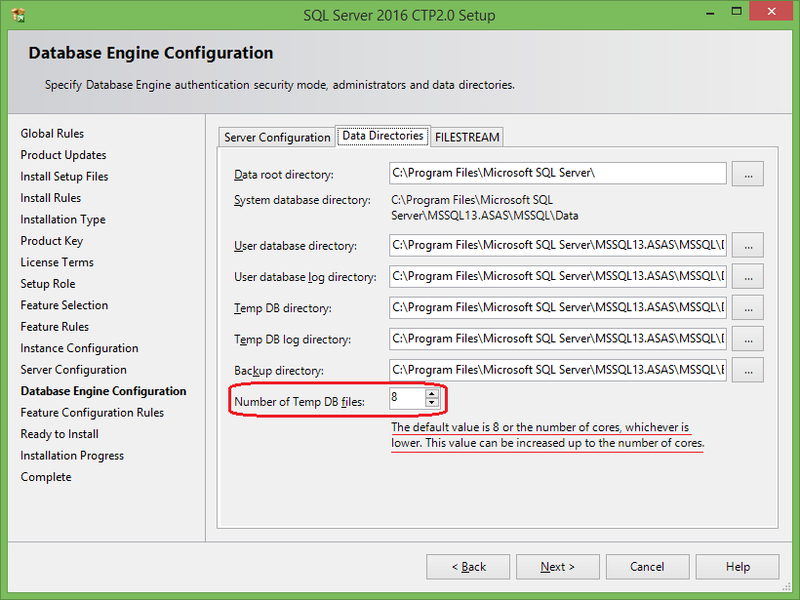 While installation process in the Database Engine Configuration page you will see an extra option to set number of TempDB files. While installing via UI the label besides the Input Control below mentions: “The default value is 8 or the number of cores, whichever is lower. This value can be increased up to the number of cores”. Update: Now with CTP 2.4 release the installer provides a separate tab for tempdb files configuration.